The classic foraging guide to over 200 types of food that can be gathered and picked in the wild, Food for Free returns in its 40th year as a sumptuous, beautifully illustrated and fully updated anniversary edition. Originally published in 1972, Richard Mabey's classic foraging guide has never been out of print since. 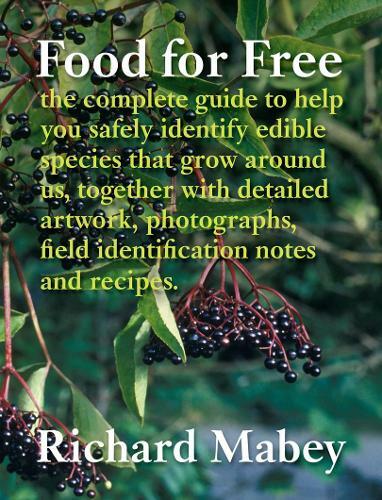 Food for Free is a complete guide to help you safely identify edible species that grow around us, together with detailed artwork, field identification notes and recipes. In this stunning 40th anniversary edition, Richard Mabey's fully-revised text is accompanied by photographs, new recipes and a wealth of practical information on identifying, collecting, cooking and preparing, history and folklore. Informatively written, beautifully illustrated and produced in a new, larger format, Food for Free will inspire us to be more self-sufficient and make use of the natural resources around us to enhance our lives. I'll start with an admission: this is not the sort of book I usually read and I haven't read the previous edition so can't compare it to that. Not only is it a brilliant reference book with lots of pictures and detailed descriptions, but it is also a very interesting and enjoyable read. Also I liked that the book included recipes you could try.